Looking to television and movies for tips on how to get that perfect closet of clothes has never been a bad idea. Of course, the differing factor is what shows we take cues from to define what the perfect closet is to us. For me, Friends is a show full of clothing worth taking the time to find at a thrift store or in the back of a friend’s closet. From Rachel’s crop top and skirt combination, to Phoebe’s long and leisurely dresses that she never seemed to shed throughout the series — Friends was the epitome of style on TV. 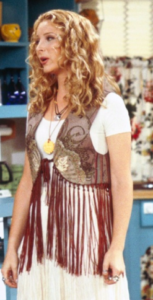 Take a look at some of the most iconic outfits from Friends for a little style inspiration. 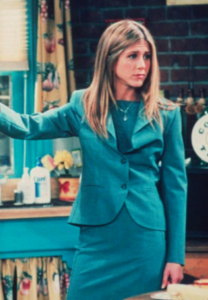 Jennifer Aniston’s character, Rachel, can be socially-accepted as one of the best dressed women on this show, from her power suits worn at work, to the crop-top trend that we see often. As a person who owns way too many graphic tees for her own good, Rachel’s collection proves to be a showstopper. Not to mention, her overalls, both short and long styles, made countless debuts throughout the series. Plus, getting her hair to look that flawless is always something worth appreciating. 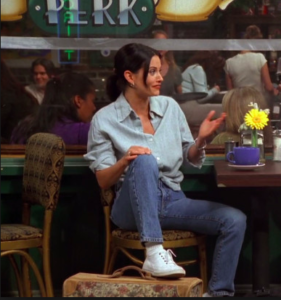 From the classic, high-waisted “mom jeans” to the countless dresses that Courteney Cox’s character, Monica, wears throughout the show, her fashion choices are sure to be paid attention to. Like Rachel, her crop-tops are occasionally paired with wide-legged pants, achieving the ultimate comfort level, and even she makes the infamous “Canadian Tuxedo” look good. 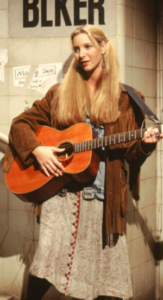 Lightweight, loose fitting and patterned are all words that have the capacity to describe the enigma that is Lisa Kudrow’s character, Phoebe’s personal style. She never fails to let us down with her many maxi dresses or her endless coats. Phoebe takes a lot of fashion risks that always pay off and make her look incredible. I mean how many people look that great in fringe? Take the time out of your day to do a little bit of binge watching of Friends and follow it up with a bit of binge shopping to collect some of those heart-throbbing outfits we all love so much. The Backbones of Style you NEED to have in your Closet!